Sokojikara Golden Crane Katana And Scabbard - T10 Clay Tempered Steel Blade, Genuine White Rayskin, All Brass Fittings - Length 40” | BUDK.com - Knives & Swords At The Lowest Prices! 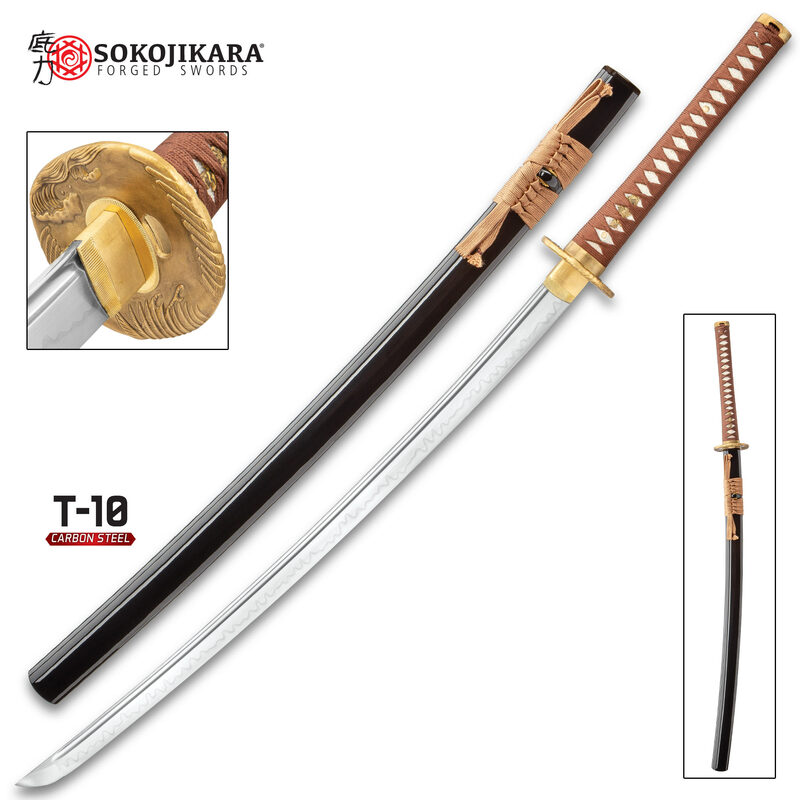 Using the age-old process of clay tempering, to forge swords that have the perfect balance of strength and flexibility, has been completely perfected by our swordsmiths at Sokojikara. 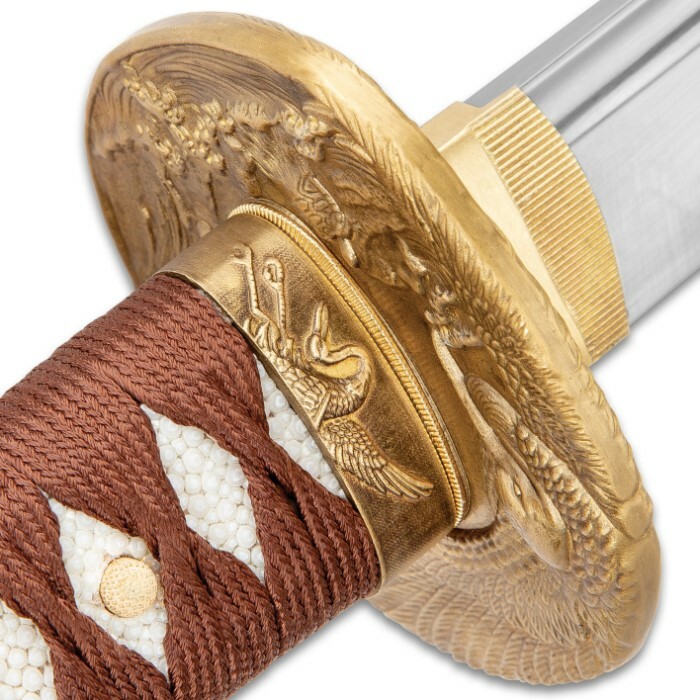 The Golden Crane Katana is a sublime specimen of that balance with its homage to the crane - a stately bird that is built to be perfectly balanced standing on one leg. 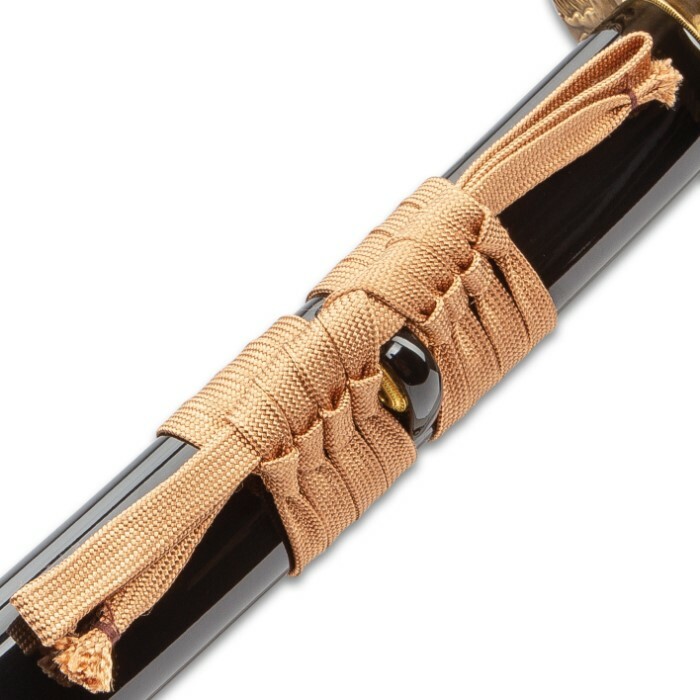 The katana has a keenly sharp, 28 1/2” T10 clay tempered steel blade that extends from a brass habaki and the beautiful crane tsuba is expertly crafted in brass. 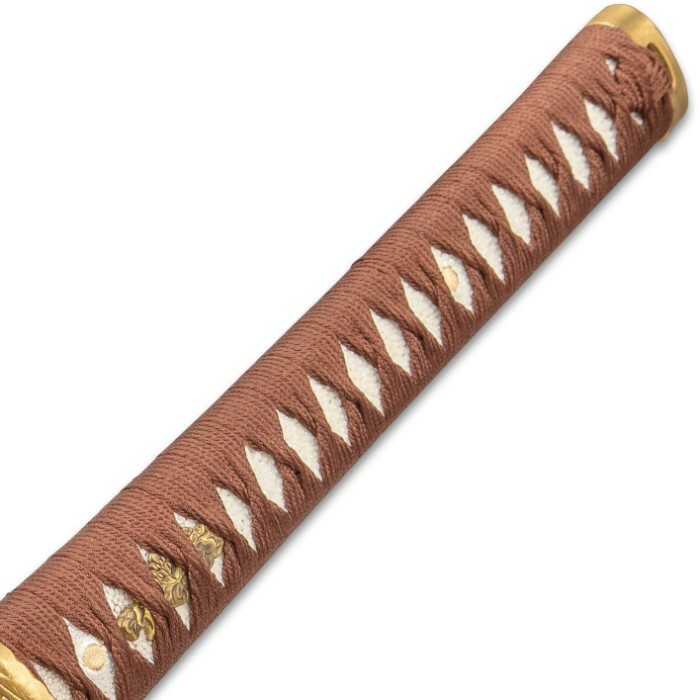 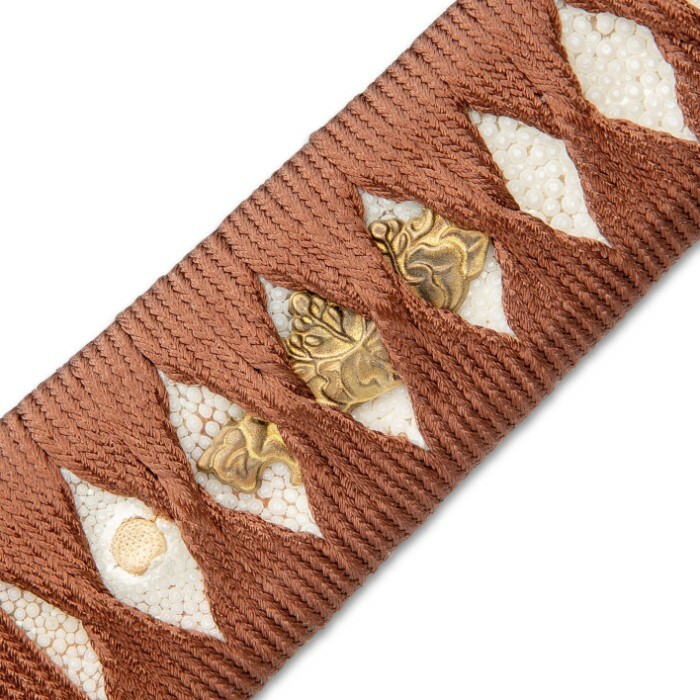 The sturdy wooden handle is wrapped in genuine white rayskin and then traditionally cord-wrapped in brown cord with brass menuki on each side. 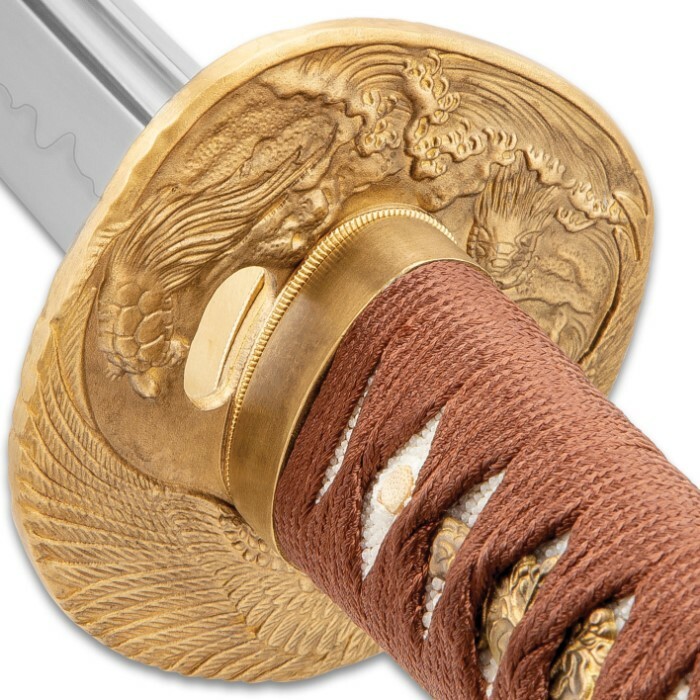 The pommel is crafted of brass, as well, and has a crane in flight to match the tsuba. 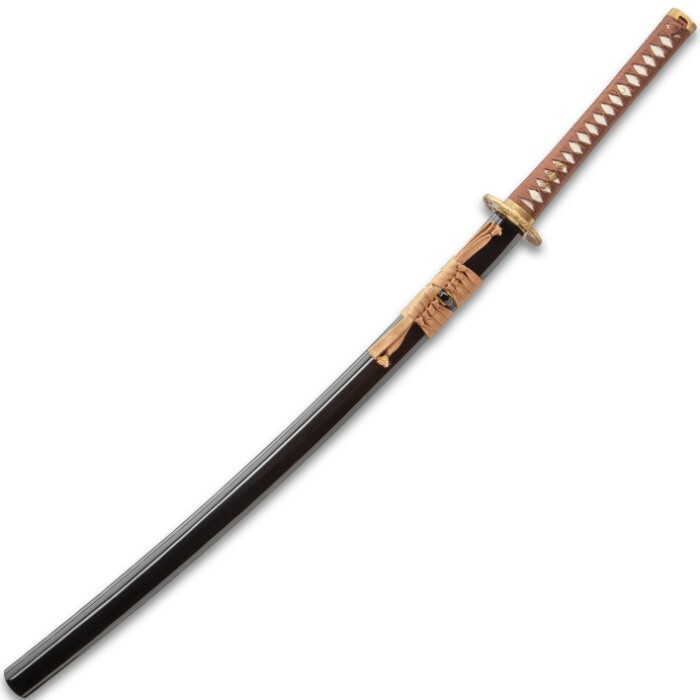 The 40” overall katana slides smoothly into a wooden scabbard with a black lacquered finish and a brown cord-wrap accent.